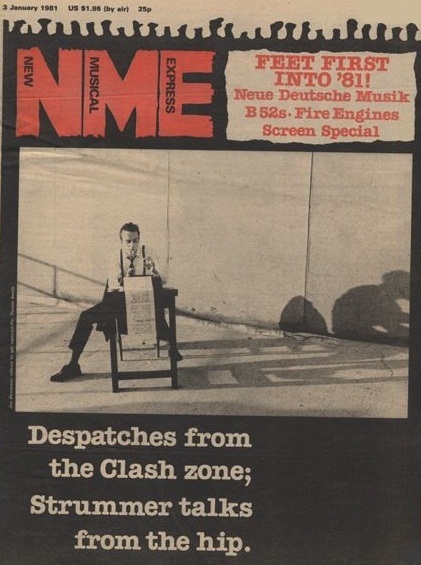 This cover shot of Joe Strummer typing was taken in late 1980 for the New Musical Express (NME) edition of January 3, 1981. 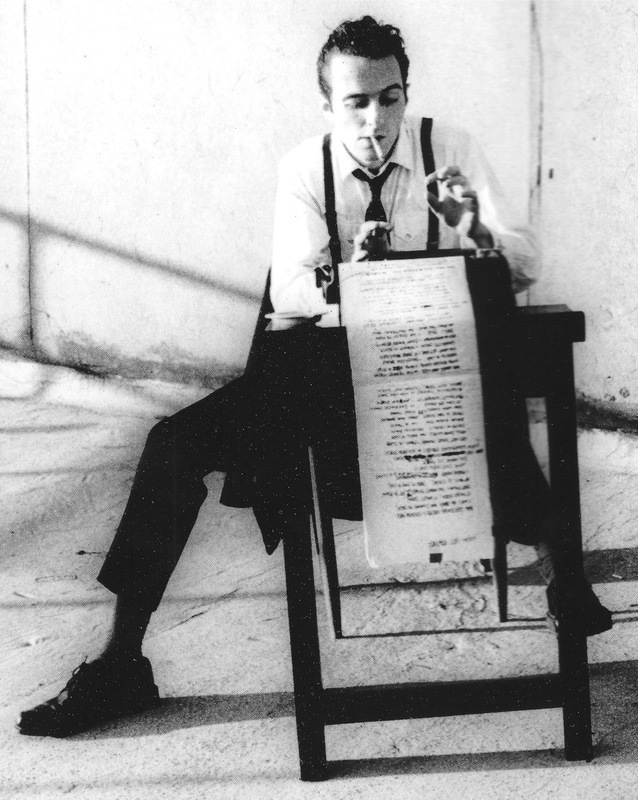 Typewriting British punk rock icon Joe Strummer would have turned 60 today. 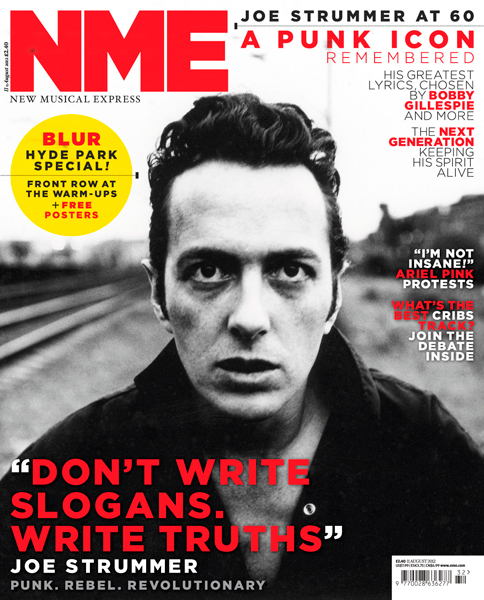 Sadly, Strummer has been dead almost 10 years now. He died suddenly on December 22, 2002, in his home at Broomfield, Somerset, of an undiagnosed congenital heart defect. See my post on Strummer and his typewriting from March last year here. Strummer was born John Graham Mellor on August 21, 1952, in Ankara, Turkey, the son of a Scottish-born nurse and a British foreign service diplomat. 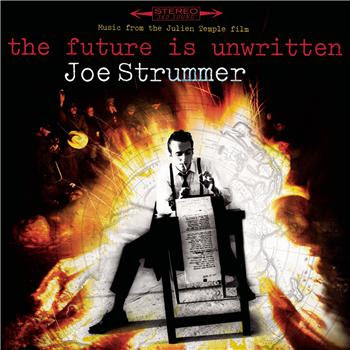 Strummer was co-founder, lyricist, rhythm guitarist and lead vocalist of the band The Clash. 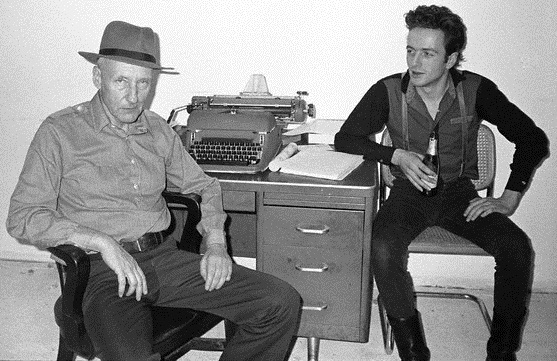 Strummer and The Clash were inducted into the Rock and Roll Hall of Fame in January 2003. 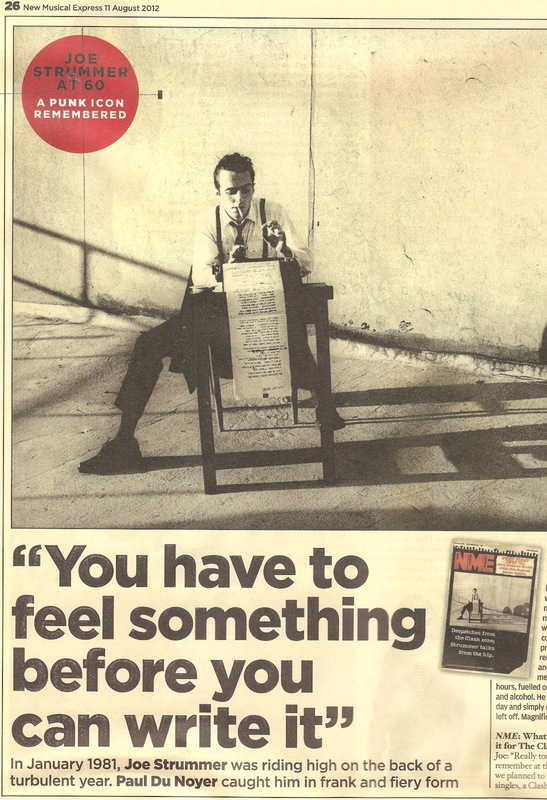 Nice find on the earlier NME cover!